1. Impact on the U.S.
At the beginning of US involvement in Southeast Asia in support of the French war from 1945-54, the US was riding high, sensing an opportunity both to gain a foothold on the mainland of Asia (a long cherished goal of American power brokers) and to roll back the advance of Communism. It seemed an opportune moment for the US to assert global hegemony; as well as to demonstrate its military prowess. The US was high on power. It took for granted that it could out-do the outmoded European powers like the French who were driven out by the Vietnamese in 1954. The US then directly intervened by creating a Republic of Viet Nam in the south opposed to Ho Chi Minh and the Democratic Republic of Viet Nam in the north. Wars are generally fought for specific political purposes. They are not all-out street fights until no one is left standing. Of course, they are politically driven. What was the alternative strategy that would have allowed the U.S. to triumph? Invade the North. U.S. power was proving itself incapable of controlling South Viet Nam even with an allied South Vietnamese government and army. How could the U.S. succeed against an independent Democratic Republic of Viet Nam in the north, unified against foreign aggression? Use nuclear weapons (which Nixon seriously considered[ii]): Such an escalation would be universally understood as an international war crime and possibly provoke a world war with the Soviet and/or Chinese. At its peak, the U.S. had 540,000 troops at one time (plus another 100-200,000 supporting from outside Viet Nam) in a country slightly larger than Florida. 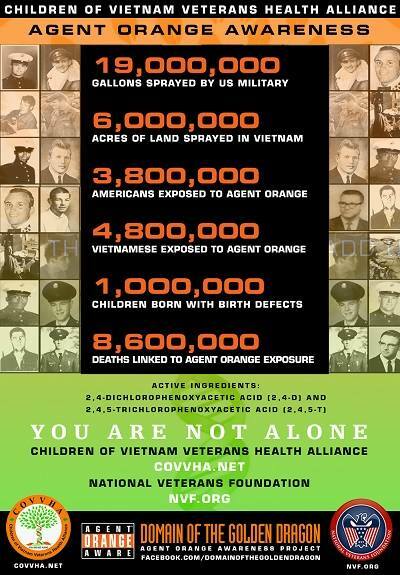 The chemical war: From 1961 until 1971, the U.S. military dropped more than 19 million gallons of toxic chemicals – defoliants or herbicides, including the notorious Agent Orange, produced by Monsanto and Dow Chemical – on approximately 4.8 million Vietnamese in southern Viet Nam in Operation Ranch Hand. While it is crucial to memorialize this resistance, we must also note the impact on soldier’s mental health; including what veteran John Grant has termed the “moral damage” of fighting unjust war. To date, estimates of veteran suicides range from a low of 9,000 to 150,000[vi], the latter almost triple the number of U.S. deaths during the actual conflict. 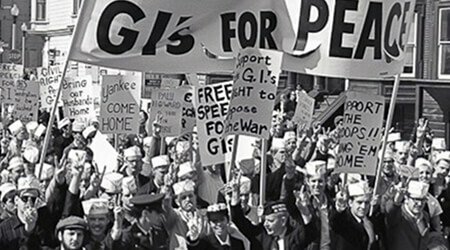 The civilian antiwar movement is better known. 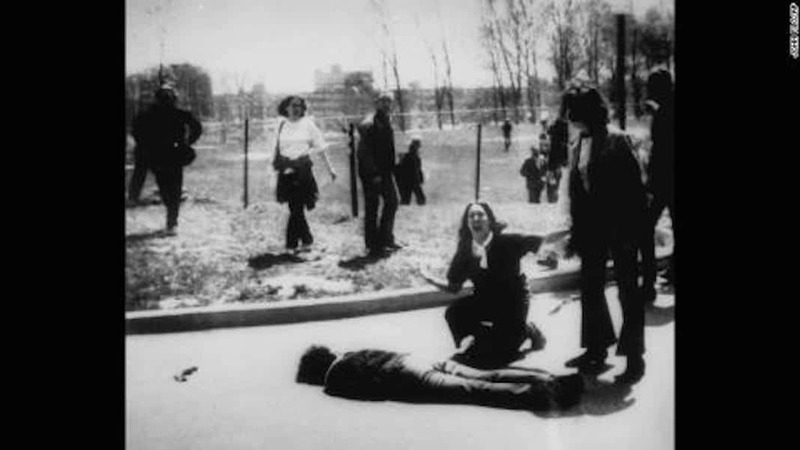 This movement has been portrayed as exclusively white and middle class, but antiwar activists of color – from the Student Nonviolent Coordinating Committee (SNCC) to Muhammad Ali and Martin Luther King, from the Brown Berets, and the Chicano Moratorium to Corky Gonzalez and Ruben Salazar – took courageous and effective stands against the war. And according to most surveys[vii], working class respondents were more antiwar than the middle class. Taking inspiration from the civil rights movement, an unprecedented opposition of remarkable proportions developed not just on campuses, but in the streets and around family dinner tables. This may be hard to imagine given the success of our government in the 21st century in marginalizing not just antiwar opposition, but even removing the actual wars themselves from public view. Part of this, of course, is due to the absence of the draft, the privatization and robot-ization of the military, but also the self-conscious policy of our political leaders. War has been normalized. As one winds down another gets rolling. On May 16 of this year, when asked at a Senate hearing how long the war on terrorism will last, Michael Sheehan, the assistant secretary of defense for special operations and low-intensity conflict, answered, “At least 10 to 20 years.”[viii] Interestingly, after that Obama seemed to offer a limited reappraisal: “Beyond Afghanistan,” he said, “we must define our effort not as a boundless ‘global war on terror’,” and added that “perpetual war – through drones or Special Forces or troop deployments – will prove self-defeating, and alter our country in troubling ways.” Whether his words mark a real turn away from the direction of U.S. global policy since World War II is certainly in doubt, but they represent an opening. The time is ripe for increased pressure from the peace movement. An active, committed extra-parliamentary opposition in the streets was created in the face of serious attempts to marginalize it as unpatriotic, disloyal, unmanly, and naïve about, if not pro-Communist. To some extent, the movement succeeded in humanizing the Vietnamese enemy not merely as victims, but as capable opponents who demonstrated bravery, resilience, and intelligence. The movement also affected “ordinary” politics by posing the incompatibility of empire abroad and democracy at home. To fight the war and thereby protect and expand the empire, the U.S. government found it necessary to lie to and manipulate its own people – as most dramatically evidenced by the Pentagon Papers. In tandem with the civil rights, Black liberation, and women’s movements, the anti-war movement fostered an intellectual revolution which undermined Euro-centrism and traditional hierarchies while honoring the previously marginalized. History could be made by ordinary people; by people of color, by women, by the ignored and excluded. Our grasp of history, culture, and human capacity was qualitatively expanded. 2. Impact on the Vietnamese. 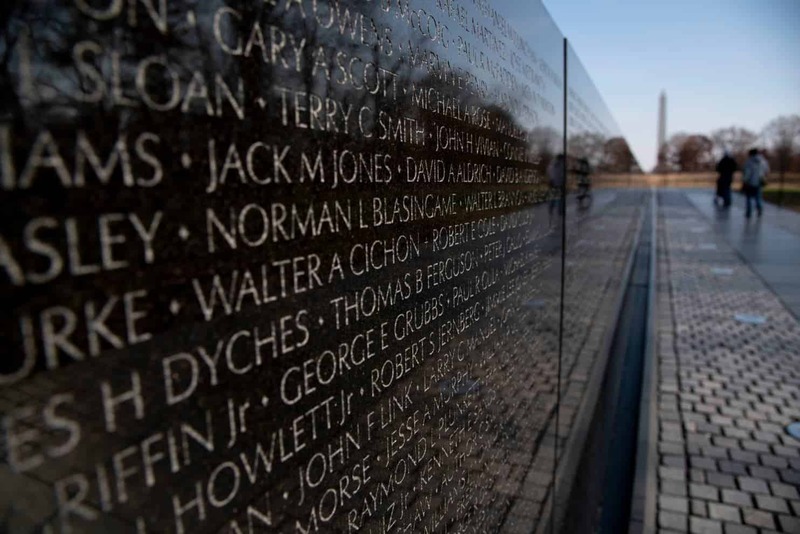 Even as it is important to talk about the effect on Americans, it’s worth remembering that the Viet Nam war took place in Viet Nam, not in the U.S. – though it would be hard to tell that from the American postwar reaction – academic, political, or cultural. The narrative is of American rather than Vietnamese trauma. So let’s re-focus on Viet Nam. Accurate estimates are hard to come by, but as many as three million Vietnamese were likely killed, including two million civilians, hundreds of thousands seriously injured and disabled, millions of internally displaced, croplands and forests destroyed: incredible destruction – physical, environmental, institutional, and psychological. The term ecocide was coined to try to capture the devastation of the Vietnamese landscape. Nick Turse in his 2013 book, Kill Anything That Moves, is the latest to document the war on the civilian population, which he calls “the real American war in Vietnam”, a direct product of American strategy. U.S. troops were unable to distinguish civilian Vietnamese from fighters. All Vietnamese, as a matter of course, were referred to as “gooks”. So the distinction between combatants and non-combatants, which had been eroding throughout 20th century warfare, virtually disappeared. Yet the Vietnamese somehow endured – validating their view that their political superiority (especially historically honed and tempered Vietnamese nationalism) could overcome U.S. firepower and technical superiority. 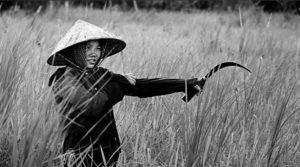 The core of contradiction of U.S. strategy was exposed: To win, the U.S. had to establish a legitimate South Vietnamese government; after all, the U.S. military did not want to stay in Viet Nam forever. But as the war effort floundered, the more the U.S. took over the reins of war, the more the South Vietnamese government revealed itself as illegitimate and puppet-like. The American claim that it was bringing democracy was thus exposed as self-contradictory and doomed to failure. – A devastated landscape and population. – Unexploded ordinance; injury, illness and birth defects almost certainly resulting from chemical warfare. – A divided nation, including supporters of the losing Republic of South Viet Nam. – The dual problems of reunification and economic development. – The hostility of China and Cambodia (Kampuchea), egged on by the U.S., which led to two wars. – The continuing hostility, including an economic and diplomatic embargo, of the U.S.
3. Impact on the world. And finally, the Vietnamese resistance inspired people all over the world. It was a powerful blow against Euro/American supremacy and imperial arrogance. The war in Viet Nam demonstrated the limits of military power when opposed by a determined, organized opponent. The success of the Vietnamese resistance inspired others throughout the world to struggle for self-determination. It was the epitome of the revolt of those MLK called “the barefoot and shirtless people”. So that is my sense of what might be worth commemorating. The U.S. government’s purpose seems to be different: to finally put the Viet Nam “syndrome” to rest by reinvigorating the military and endorsing U.S. global ambitions – now battered after two frustrating land wars in Asia. The fantasy of techno-war – nurtured in “the electronic battlefield’s” 20,000 sensors along the Ho Chi Minh trail, even the first primitive drones, then deflated by defeat in Viet Nam; this fantasy is being revived in new generations of smart drones, a developing triple canopy of surveillance devices to be orbiting the earth, along with cyber-warfare. There are U.S. military bases in well over a hundred countries throughout the world. The dreams of empire are alive and deadly, but under threat. The National Intelligence Council predicts that the economies of Asia will surpass the economies of Europe and North America by 2030. President Obama avows that the U.S. “doesn’t play for second place.” Our task is not so easily reducible to sound bites. How to convince people that the Empire has no clothes, that we need a human not a techno fix. The war ought to remind us of what Martin Luther King called “an inescapable network of mutuality” in which the fates of Vietnamese and Americans, among others, are inextricably linked. The disregard of the environment embodied in the technological onslaught on Viet Nam (and led to the concept of “ecocide”) is echoed and amplified by human-induced climate change. The soldiers we honor on Memorial Day will not have died in vain if we are honest enough to face the truth of the Viet Nam war. The choice is clear: We recognize our common humanity or indulge rituals of power that end in mutual destruction. Unending war is not only a tremendous strain on our economy; it promotes a dangerous delusion of power, as if techno-bullying is a way forward. 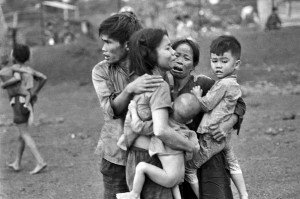 We need a counter-commemoration of the American war in Viet Nam in which human cost and human capacity to resist oppression are honored and elaborated. Imperial America is stuck in a past that never existed. Our mandate is to find a way forward, beginning with an honest accounting of the U.S.’s wrongful war in Viet Nam. Our commemoration needs to be a warning: No More Viet Nams; No More Imperial War! [i] See https://www.federalregister.gov/articles/2012/06/01/2012-13514/commemoration-of-the-50th-anniversary-of-the-vietnam-war. See also the official web site at http://www.vietnamwar50th.com/ . [iii] See Clodfelter, Michael. (1995). Vietnam in Military Statistics: A History of the Indochina Wars, 1772-1991. Jefferson, NC: McFarland. [iv] Col. Robert D. Heinl, “The Collapse of the Armed Services” in Armed Forces Journal(June 7, 1971), 30-37. [vi]See http://www.ncbi.nlm.nih.gov/pubmed/2343923 or http://rense.com/general77/hdtage.htm or http://winoverptsd.com/wp/category/disturbing-facts-about-vietnam-veterans/or for estimates from low to high. [vii] See for instance, Philip E. Converse and Howard Schuman, “Silent Majorities and the Vietnam War,” Scientific American (222, 6 June 1970), 23; John P. Robinson and Solomon G. Jacobson, “American Public Opinion About Vietnam,” Peace Research Society (International) Papers (10, 1968), 63-79; and Harlan Hahn, “Correlates of Public Sentiments About War; Local Referenda on the Vietnam Issue,” American Political Science Review (64, 4, December 1970), 1186-98. 7/1995: Normalization of relations between Viet Nam and U.S. Your life has been and I quote the Beatles “A Long and Winding Road” from the time you got thrown out of Hebrew school for challenging Mr. Klopman’s authority and tactics and being the most intense basketball player in the Wade Junior High schoolyard. How can I post this article on Full Disclosure. It was recently sent to VVAW’s The Veteran” for publication. 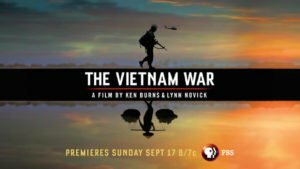 If Ken Burns” “Vietnam” was meant to promote “healing and reconciliation”, the first two episodes only caused this (and many other) combat veteran nausea and anger at the continued perpetration of negative myths and corporate/Pentagon promoted mistruths to kill future anti-war dissent. If “Vietnam” is to become our national “narrative” and legacy, whose primary purpose and intent seems to be to “steal” our story as Vietnam Veterans Against The War and Veterans For Peace, then my only regret is to not have another lifetime to dispel its dangerous, ignoble perspective. There’s a reason James Koch and the Bank of America bankrolled the project—let’s keep the 10 plus other foundations, families, etc. out of the discussion until I can fact-check their motivations—and that’s to promote “The Noble Cause” doctrine which helps enable the Pentagon to continue perpetual wars: Communism is bad; God is on our side; we sent our soldiers to Vietnam to stop a “civil war between the North and the South. To compare Vietnam’s struggle for independence as a civil war, is like comparing the American Independence fighters battling the British and Royalists to a civil war. 80-90% of the Vietnamese people would’ve voted for Ho Chi Minh if the agreed upon election would’ve been held, so the notion that we got into the war to stop a Communist takeover is a biased reading of history. And to pretend that Vietnam would become, or was, a proxy for China, belies an unacceptable ignorance of Vietnam’s long history of fighting China to maintain its independence. But the key to understanding the Burns’-Koch-Bank of America perspective is through the selection and narratives of the talking heads. “Vietnam” opens with the voice of Karl Marlantes, a gung ho Marine combat officer, famous for Matterthorn and What It Is Like To Go To War where he espouses how exhilarated he felt killing a man and/or winning a battle—something I never came close to feeling as a combat soldier. Exhilaration came in the lull of battle when I, and my buddies, could thank our lucky stars we were still alive. To tell a new, young generation of video-game warriors and virtual reality killers that in real life killing is exhilarating is at best a moral malaise, at worse a sociopathic character flaw. And to invoke Marlantes at the beginning, essentially the introduction, bookends the point of view they want to drive home. Marlantes is also the poster child for two other nefarious myths Burns wants to portray: the alienated veteran who never speaks about the war because he did such horrific things he can’t talk about them, or because no one would understand and might shame him for his actions. And the myth that everyone during the sixties and seventies saw Vietnam veteran in negative terms, i.e. “baby killers”. The intent behind this is to kill or diminish dissent for future wars. We should honor the exhilarated, lonely killer because God was on his side and he was killing communists, To do otherwise is unpatriotic. But Marlantes is an anomaly among Vietnam Veterans. We talked all the time about our war experiences. We gave speeches, organized protests, wrote newsletters, shared our stories in Winter Soldier. We created talk groups to purge our demons and our guilt. And we did these acts of moral cleansing and reconciliation because they helped titrate our night terrors and numerous other ailments the VA didn’t want to hear about. And we talked so loud and for so long about our PTSD and our Agent Orange diseases, PTSD was put into the Diagnostic and Statistical Manual of Mental Disorders, and Agent Orange became a medical diagnosis. John Musgrave, another talking head, adds “fear” and “hate” to The Noble Cause mantra. He was terrified of the Vietnamese—they were gook commies so they had to be “feared”. If they were like us, I guess he couldn’t have killed or fought against them. This undercuts the many acts of kindness I witnessed by my fellow soldiers, medics, and officers. I rarely saw “pure hate” from a combat soldier. Moments of pure anger and grief when one of our friends got killed, but what we mostly hated was the war, not the people. The civil war “myth” is perpetrated by a Vietnamese talking head whose father was an official for the French. Her sister joined Ho Chi Minh’s army and this is meant as an example of how families were divided like our own civil war. The problem here is that a Vietnamese working for the French is akin to the French working for the Nazis during World War Two. After the French and its allies overthrew the Nazis, many of them were shot as traitors. So the moral and historical equivalency is misguided at best. As this is an abbreviated critique, (I’ve only seen the first two episodes) I’d like to end on this note: We—the VVAW and VFP changed history and ended the war. Not alone of course, but we were the vanguard. Vietnam was a draftee war, in 1968-70 sixty to eighty percent of the combat soldiers were draftees who for the most part could care less about Communism, or flag, or country. And over 60% of the causalities were suffered by draftees. We weren’t groupies of the “noble cause” band. We just wanted to survive our tours. And when the draftees AND enlisted men started to refuse to fight, along with millions of us and others marched in protest, our government was forced to negotiate an end. That is our legacy and of what we should be proud. We knew the war was wrong, that our government was lying to the populace, and few of us believed there was anything to win. This is not a question of could we have won. There was nothing to win. And the wound we carry is knowing that so many young men and women died needlessly to promote this “ignoble cause”, The American War In Vietnam.